SNESlite is an emulator created by Albert Lloyd Sayers, Jr. It can run the "sonic.smc" demo (although very slowly), but my test with Super Mario World met with failure. You require the program CWSDPMI.EXE to run SNESlite. It is unknown the timing of when the emulator was written, though it first appeared in 1997. 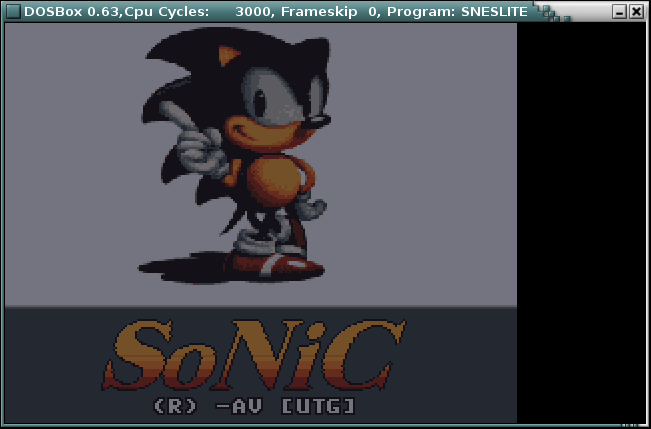 Other than the program file itself, little is known about this emulator.